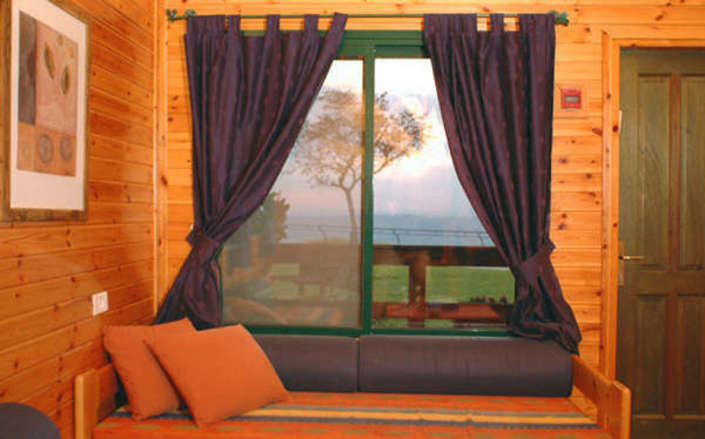 The Peace Vista Country Lodge (Mitzpe Hashalom) is situated within Kfar Haruv Kibbutz on the high basalt cliffs of the Southern Golan Heights and offers spectacular views towards the Sea of Galilee, Mt. Hermon, Mt. Tabor and the fields of the Jordan Valley. The property is set amongst beautiful gardens and is a supremely relaxing outdoors environment from which to explore the surrounding area. 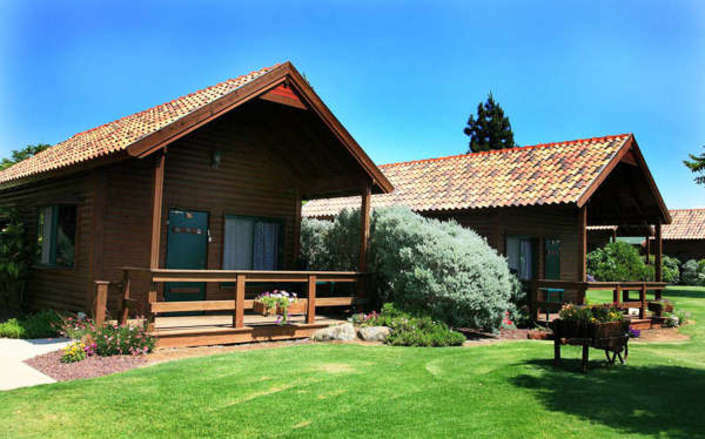 Accommodation at Peace Villa Country Lodge is in 27 simple wooden cabins and suites. 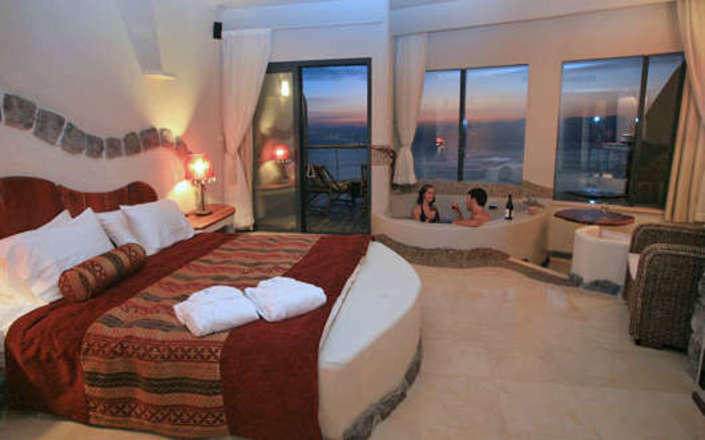 Each cabin has a bedroom and a loft above it for children. 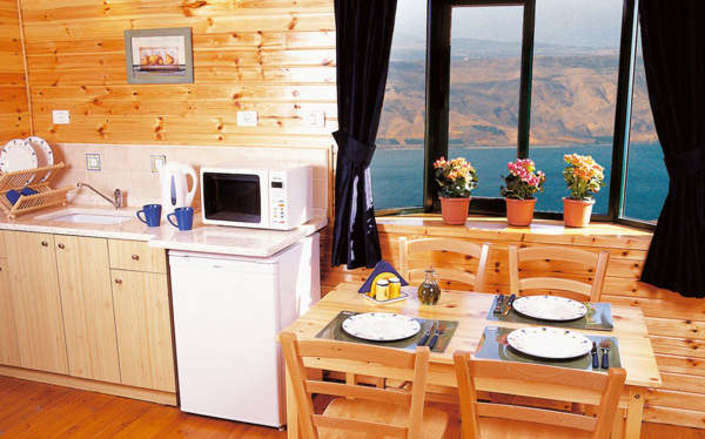 The cabins (some of which overlook the Sea of Galilee) are comfortably furnished and feature a living room, kitchenette, coffeemaker, TV, Jacuzzi bathtub, and have a porch with outside seating. A healthy breakfast is served to the cabin in a large straw basket every morning. 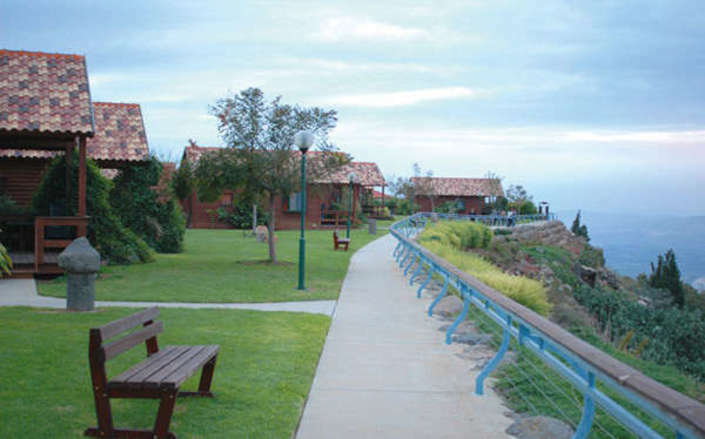 Complimentary Wi-Fi, a beautiful hiking trail, and a Spa are further attractions. 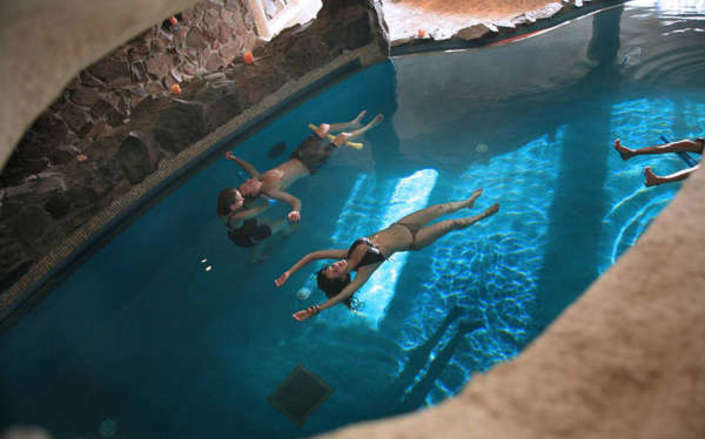 The Kibbutz’s swimming pool is located a five minute walk away and is available to guests at staying at the Peace Vista Country Lodge. 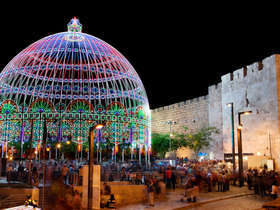 While there is no on-site restaurant, a privately run restaurant is located nearby.